Many of you are now in your play-offs for Week 14 and it's critical that you keep working your waiver wire for top QB, RB, WR, and TE's that are available as many of them make solid sleepers. Coby Fleener (TE, IND) - he shouldn't be available, but as long as Dwayne Allen continues to miss time then Fleener is a solid spot-starter. Kenny Stills (WR, NO) - he has been paying major dividends for me while some of my WR's are injured or under-performing. He will continue to have a high upside. Daniel Herron (RB, IND) - hopefully you already grabbed him from the recommendation from last week, but if he is still on the waiver wire he is a a top pick-up this week. Latavius Murray (RB, OAK) - Murray should be back next week and he lit it up a couple weeks ago; he has solid upside. If he is out again next week then Marcel Reece is a sleeper starter in PPR leagues. 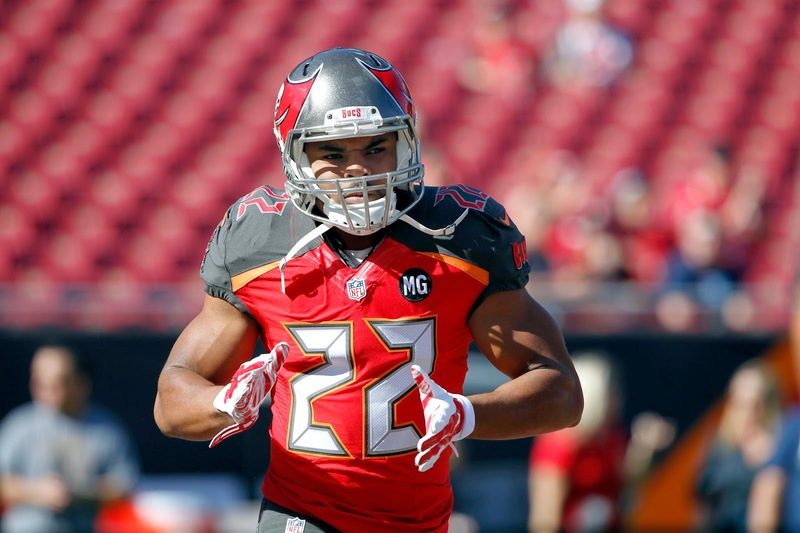 Doug Martin (RB, TB) - he is getting all the carries in Tampa and that should continue for the rest of the season. He has TD upside so he is a must grab. Harry Douglas (WR, ATL) - Roddy White did not play this weekend and Douglas was targeted a ton. Douglas doing well while White or Julio is out happens every year, so if White misses next week and you are in a PPR league then Douglas gives you a huge upside. You have to keep an eye on White's status and only start Douglas if White is out next week. Jonathan Stewart (RB, CAR) - he is getting the lion share of the carries and is also getting catches out of the backfield. He does have some TD upside as well, but he can be a bust any given week. Robert Turbin (RB, SEA) - Turbin is Marshawn Lynch's hand-cuff; if you have room for the play-offs and you are a Lynch owner you may consider stashing Turbin if you have the space. Stepfan Taylor and Marion Grice (RB, ARZ) - if Andre Ellington misses any time then Taylor and Grice will split time. Taylor actually looked better this weekend so don't be shocked if Taylor puts up more fantasy points, but at this time it's a coin flip on who will produce more. Jaron Brown (WR, ARZ) - Larry Fitzgerald should be back next week, but if he misses time again next week then Jaron Brown has nice upside in PPR leagues only. Stedman Bailey (WR, StL) - he is putting up usable numbers but you have to know he can be a bust any given week. Nate Washington (WR, TEN) - Justin Hunter is going to miss the rest of the season most likely and Washington has the most to gain from his loss. Washington is going to be a solid sleeper next week regardless of who is playing at QB. Matt Asiata (RB, MIN) - he should only be started next week if McKinnon is out. Davante Adams (WR, GB) - had a solid game against New England but that my be due to the situation of Jordy Nelson and Randall Cobb being covered very well. Adams is very much boom or bust but if you need a gamble you can consider Adams. LeGarrette Blount (RB, NE) - he is getting the lion share of the ground game, but it's so hard to start a New England RB as you never know what they will do. Eddie Royal (WR, SD) - Philip Rivers was going to Royal for a number of short passes, so he should only be considered in PPR leagues, but you have to realize he is a huge gamble if you want to start him. Colt McCoy (QB, WAS) - he threw three TD's this weekend and will remain the starter next week; McCoy is a true gamble next week. Jordan Reed (TE, WAS) - Reed looked very solid this week and is showing some nice PPR upside for the rest of the season. Donte Moncrief (WR, IND) - Moncrief has been on this list weekly and is a solid dynasty pick-up, but he is now finally surpassed Hakeem Nicks for snaps and should be stashed if you have the space. Andre Williams (RB, NYG) - he should only be started if Rashad Jennings were to miss next week's game. Johnny Manziel (QB, CLE) - Biran Hoyer was pulled after throwing two interceptions and being down by quite a lot. Manziel may get the start next week, but most likely Hoyer will get another start. Manziel is worth watching. Marqise Lee (WR, JAX) - he is slowly finding red-zone targets every week and if you are in a TD only league and you are in dire need then you could gamble on Lee. Robert Woods (WR, BUF) - Woods is quietly putting up solid weeks of production with TD upside. He can only be considered in extremely deep leagues. Jake Locker (QB, TEN) - is is unclear how bad Zach Mettenberger's injury is, but if he were to miss time then Locker would get the start. Locker should only be considered in two QB leagues. James Wright (WR, CIN) - he had a solid weekend and is only a player to monitor at this point.